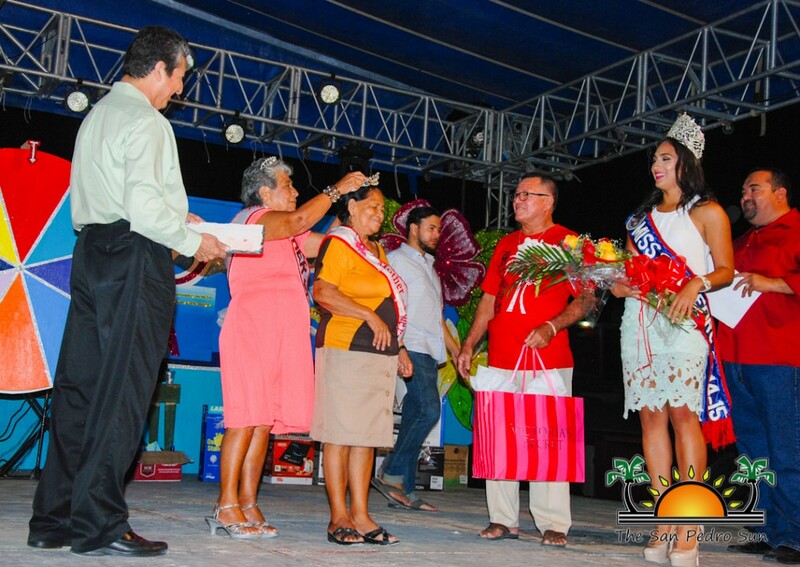 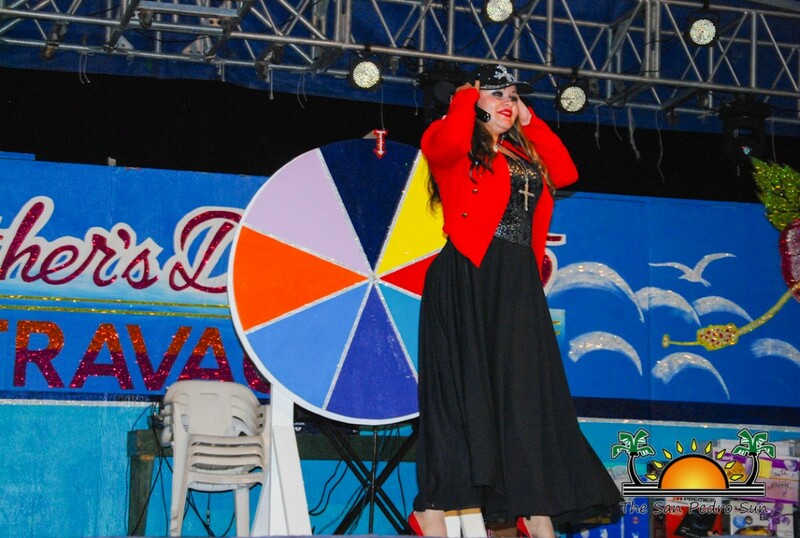 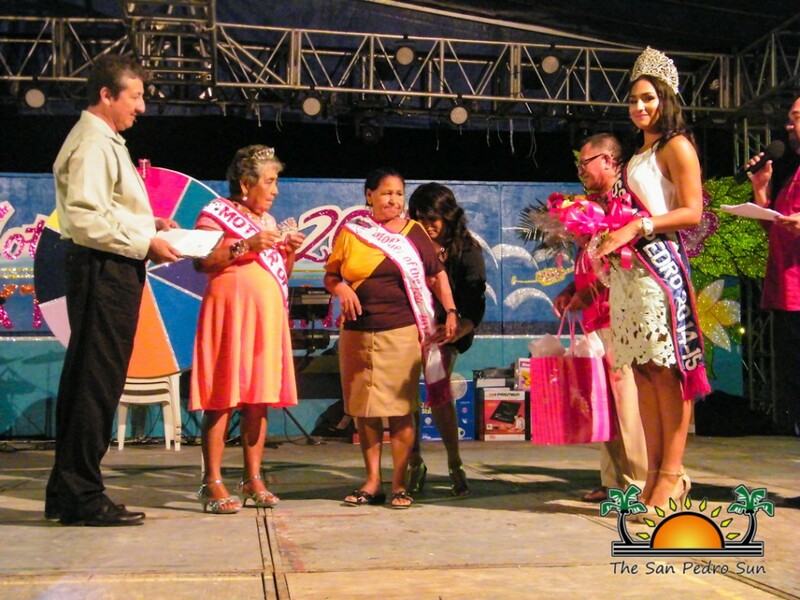 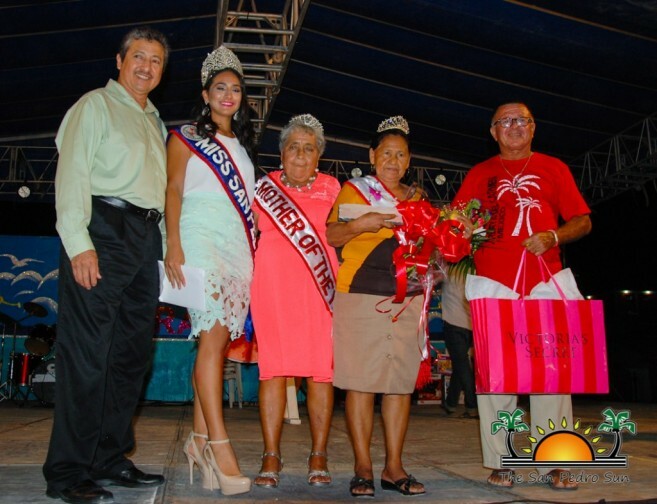 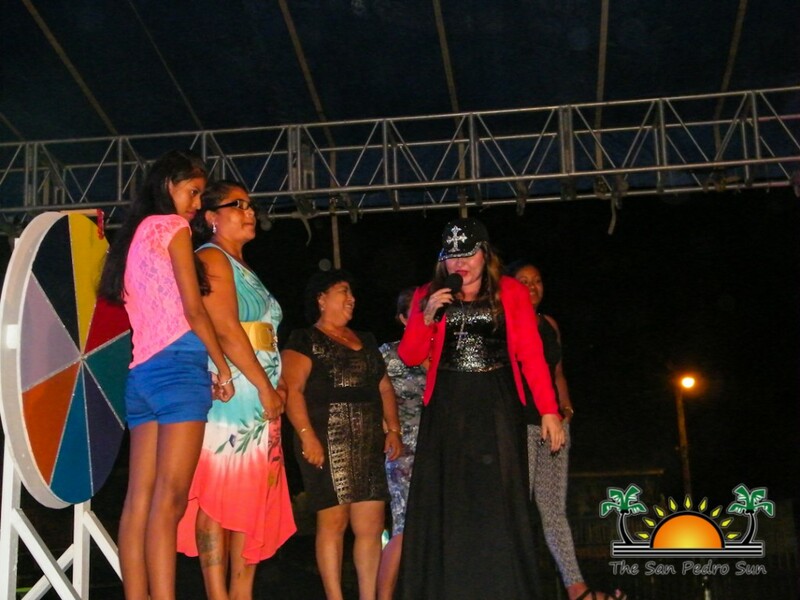 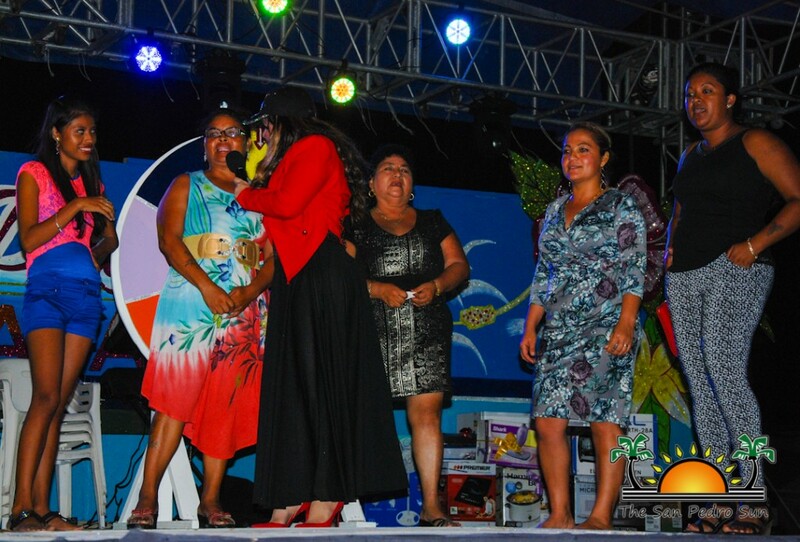 The San Pedro Town Council (SPTC), along with a host of volunteers and sponsors, treated hundreds of island Mommies to a fun evening of food, entertainment and much laughter at the annual Mother’s Day Extravaganza. 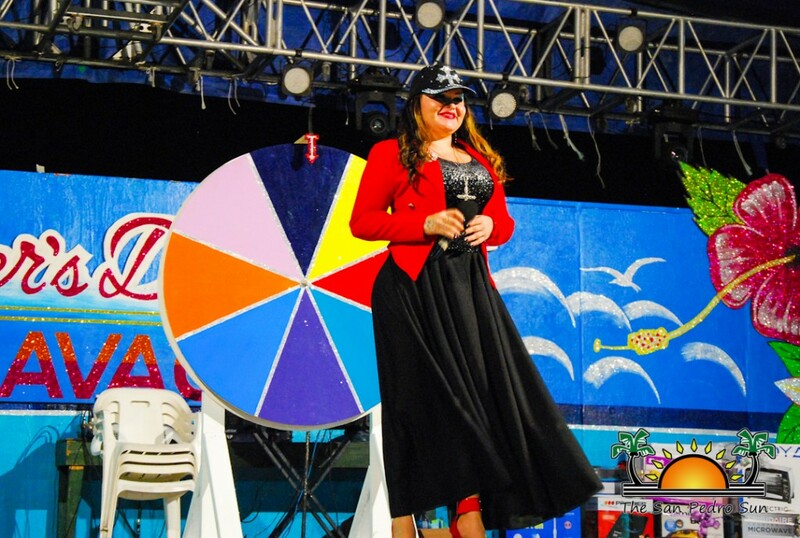 The gates opened at 7PM and by 8:30PM, the show began with a loving tribute dance performance by the San Pedro Dance Academy. 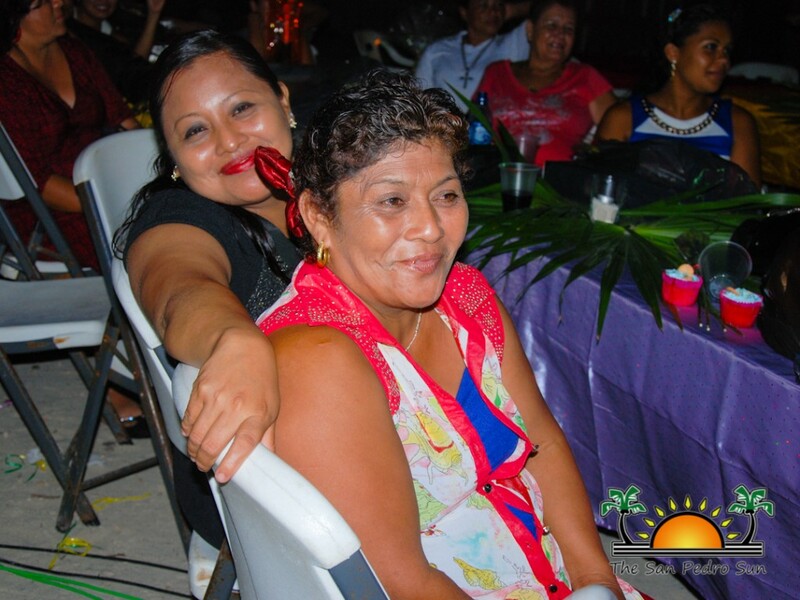 Volunteers bustled about serving delicious turkey dinners to the mothers, taking drink orders and keeping all the mothers happy and comfortable for the night. 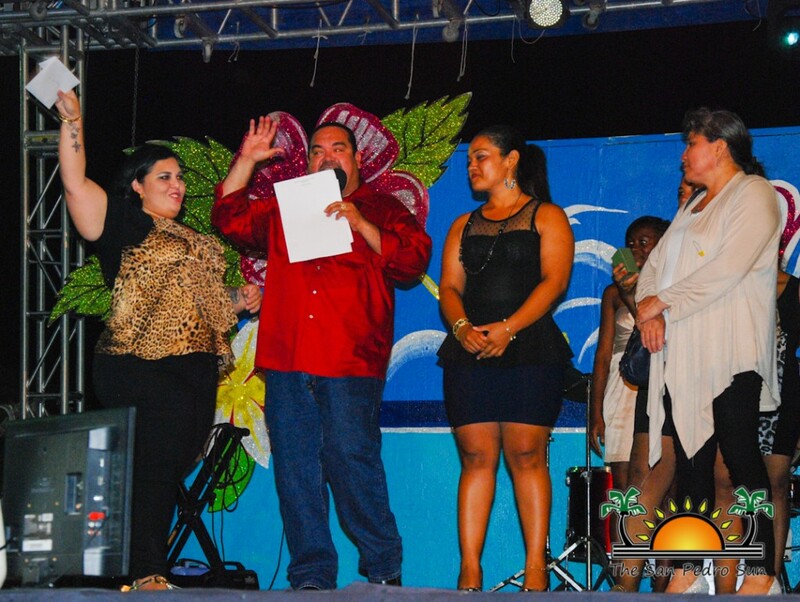 Host Eiden Salazar was affable as always, and he kept the show flowing smoothly throughout the evening. 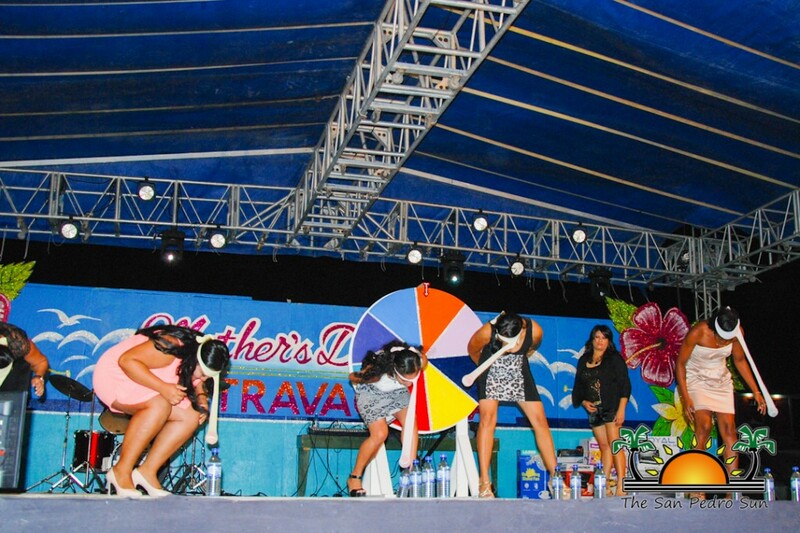 Of course, no Mother’s Day Extravaganza would be complete without some fun games. 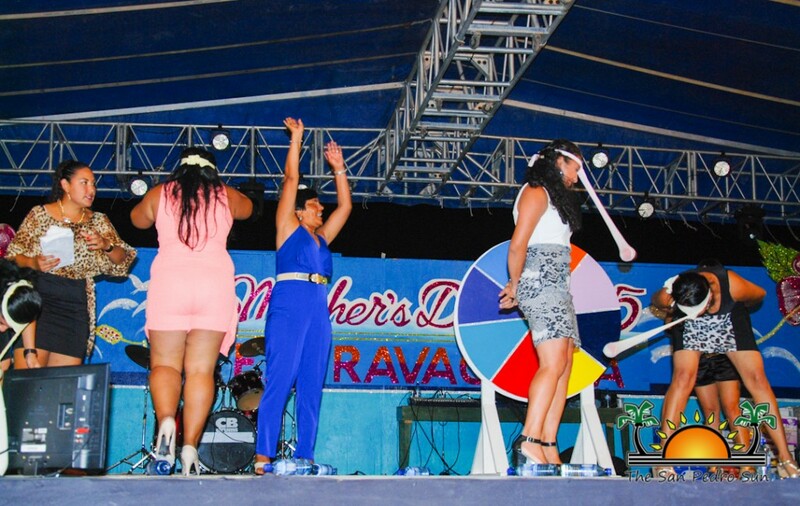 Mothers readily volunteered to step on stage, facing the ‘Wheel of Fortune’ which decided what antics they’d have to get up to. 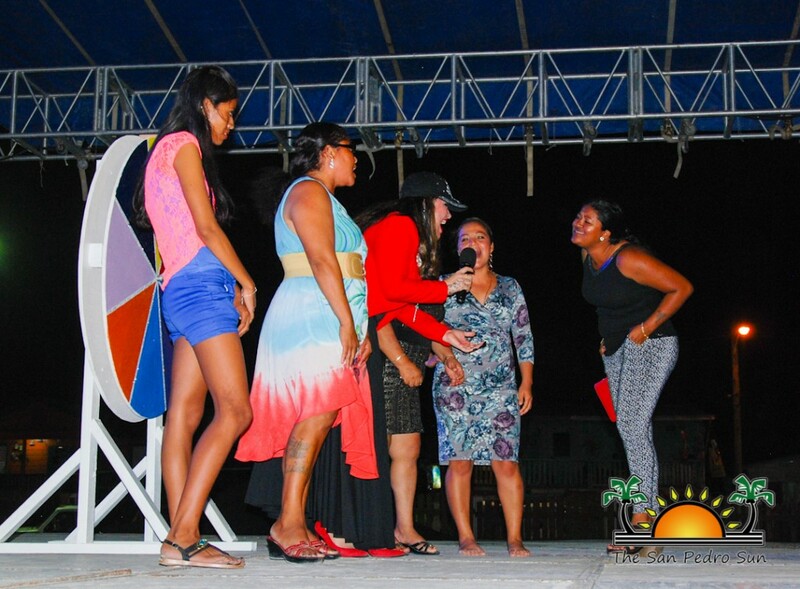 From moonwalking to modeling, dancing and telling jokes, mothers tried their best to one-up the other for some amazing prizes. 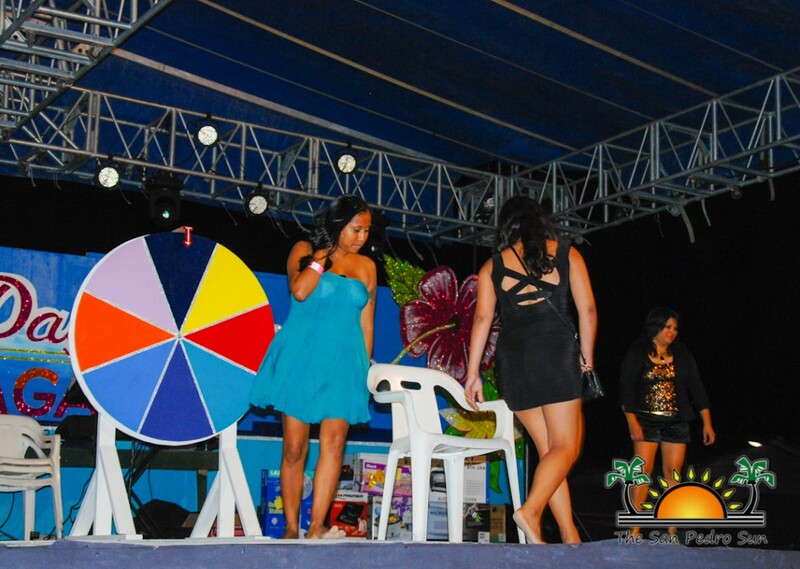 There were interactive games like musical chairs and even a fun Mother’s Day version of ‘bowling’. 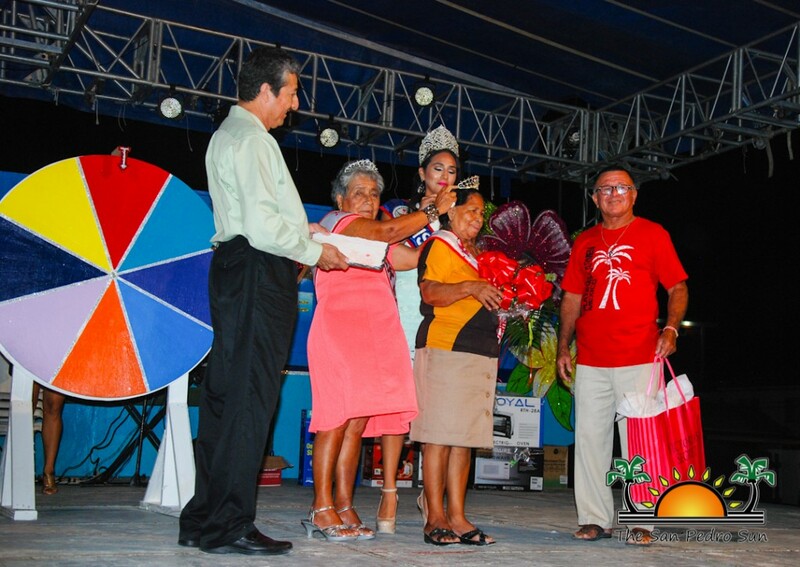 Winners of the games and performances took home some pretty amazing prizes: dinners for two at the luxurious Victoria House, 24-hour golf cart rentals, grocery certificates, cash and more. 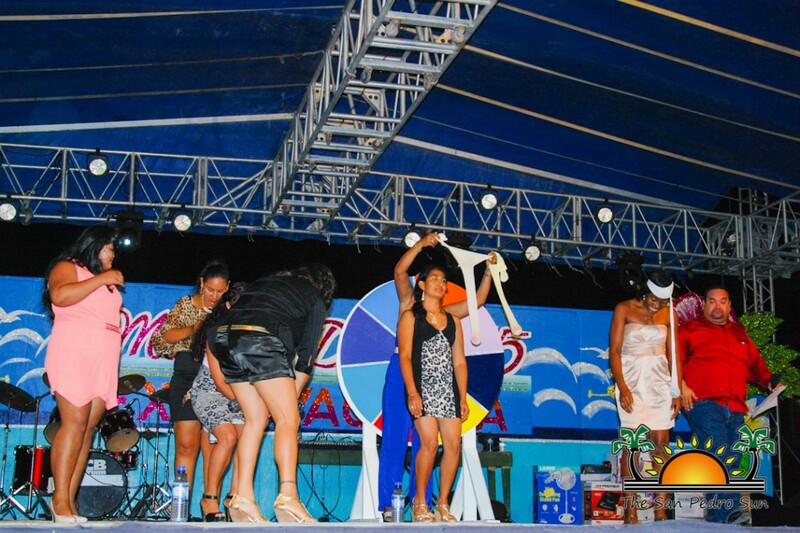 In fact, each participant received a small gift for braving the stage. 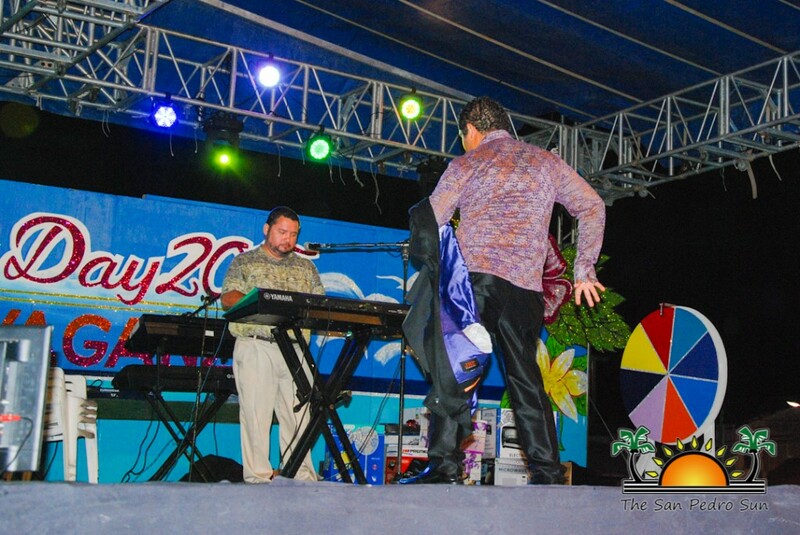 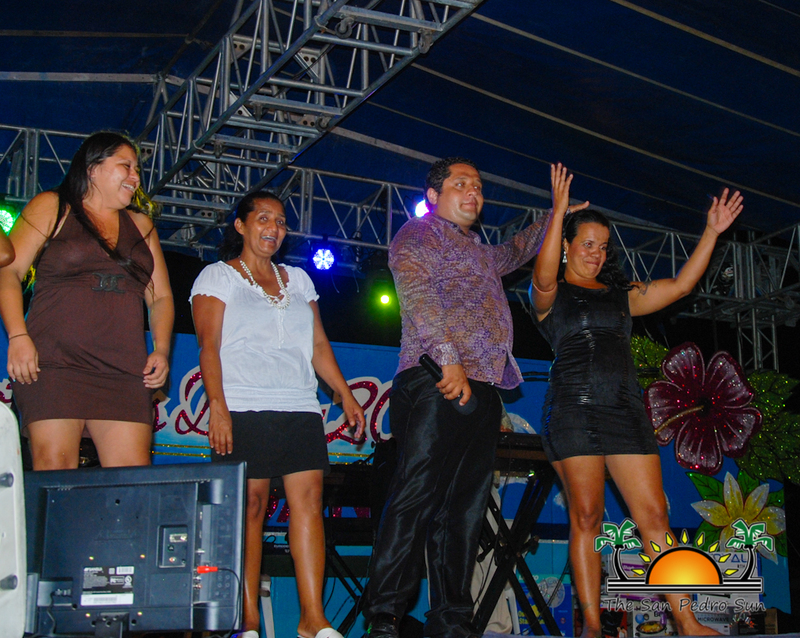 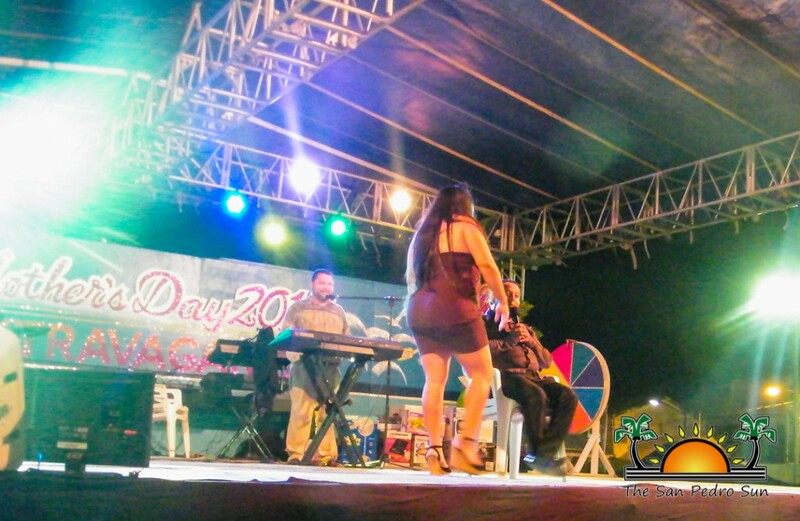 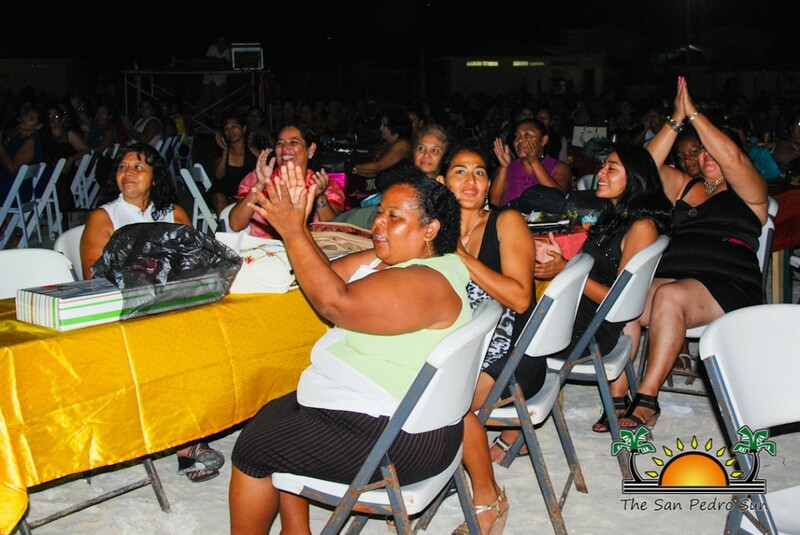 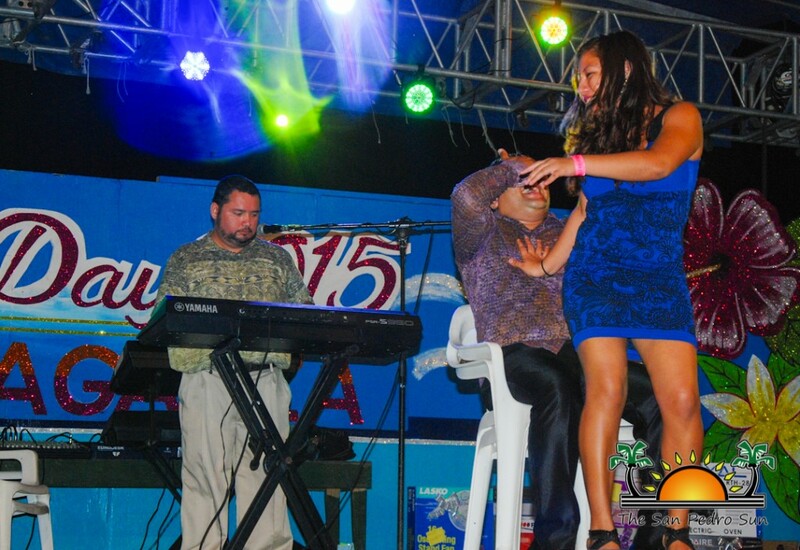 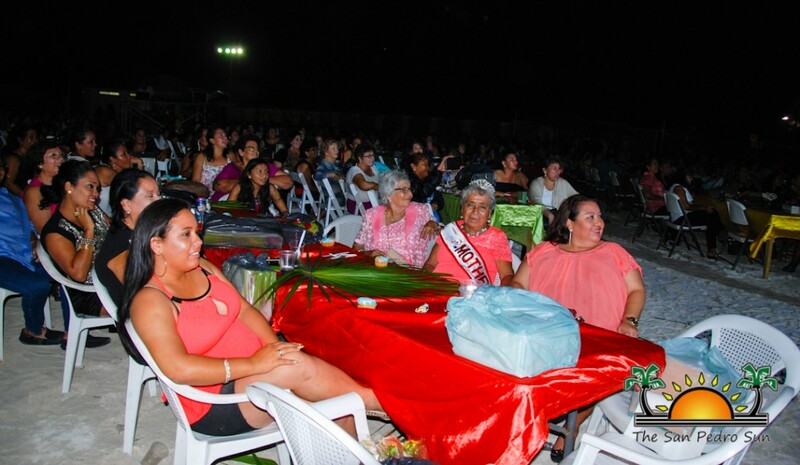 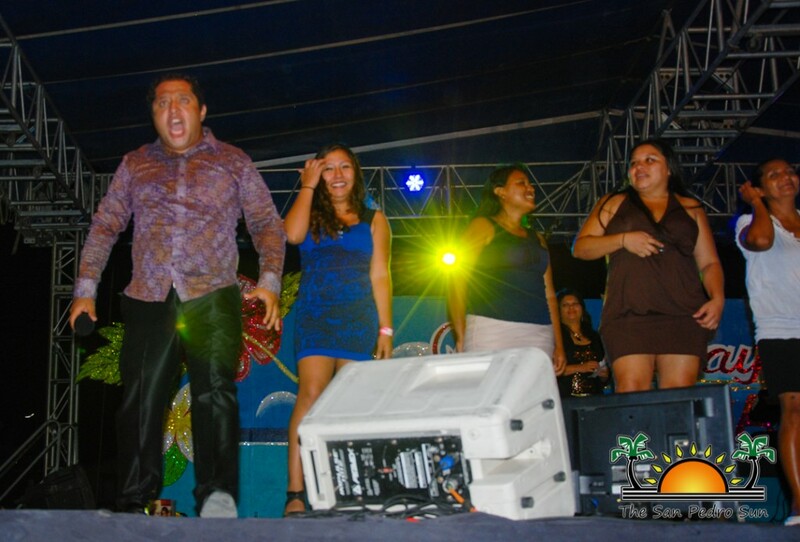 During an intermission of the games, mothers were treated to the musical stylings of Lala Chacon from Belmopan. 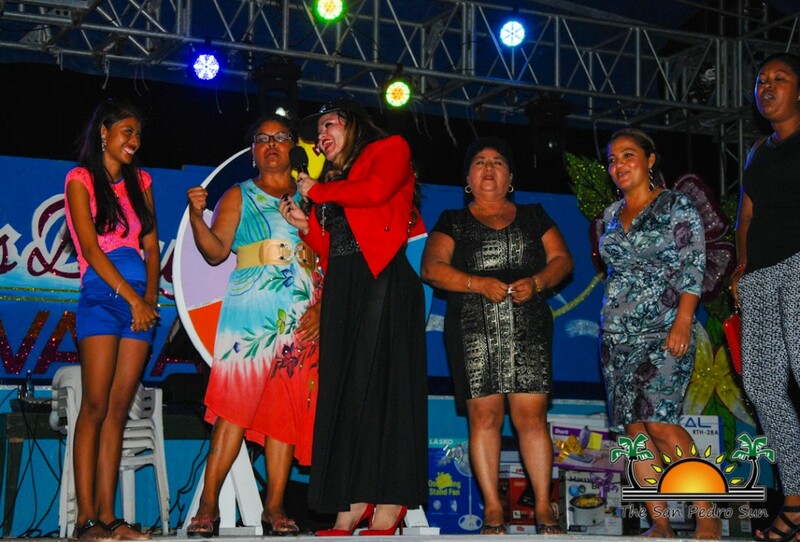 She is a well-loved Karaoke singer whose voice imitated the sounds of Ana Gabriel, Jenny Rivera and more. 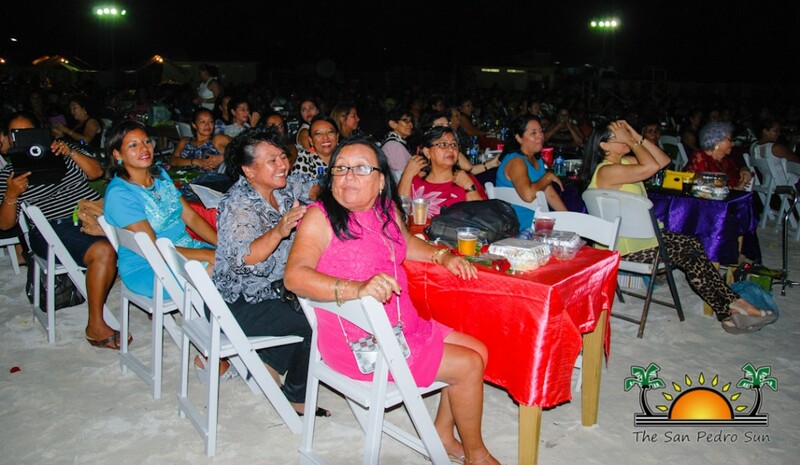 Mothers in the audience sang along with her as she performed a medley of songs. 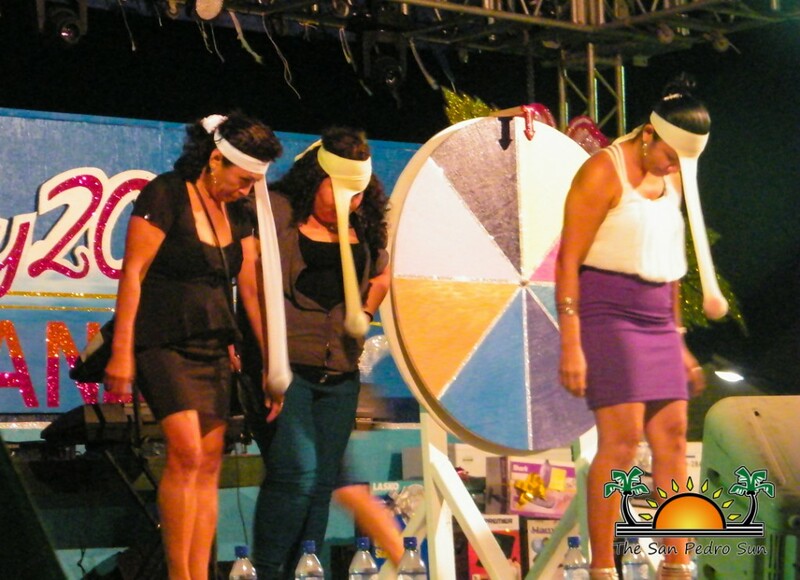 More games followed the musical interlude, and the challenges had the audience roaring with laughter, their cheers filling the air. 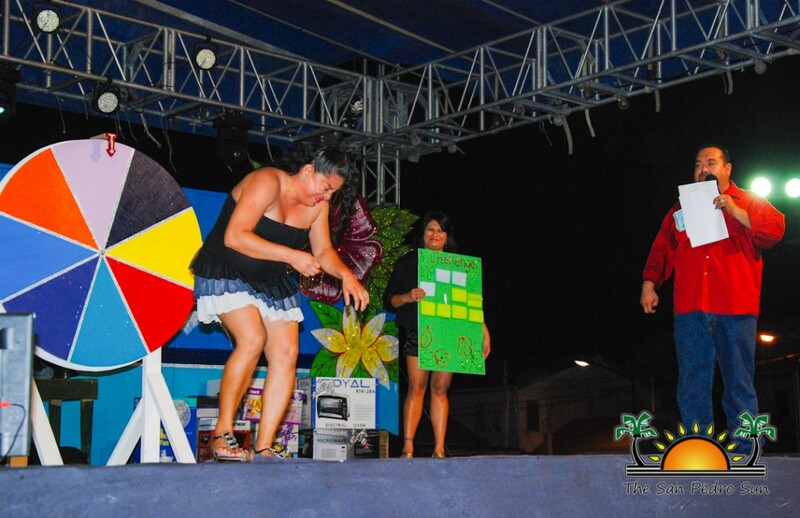 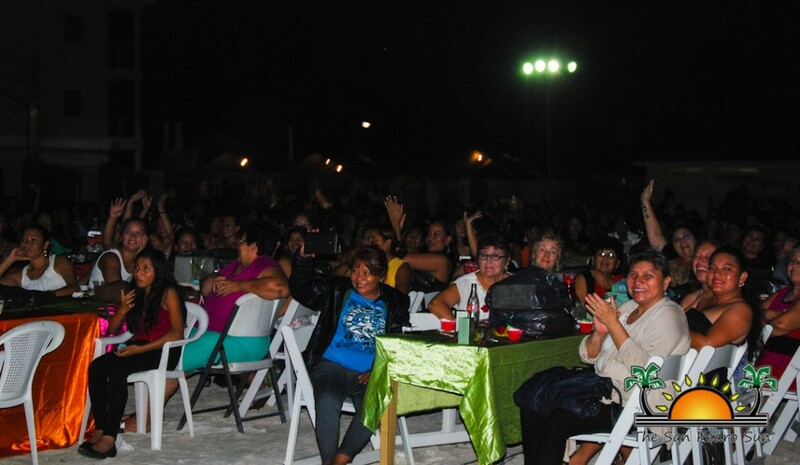 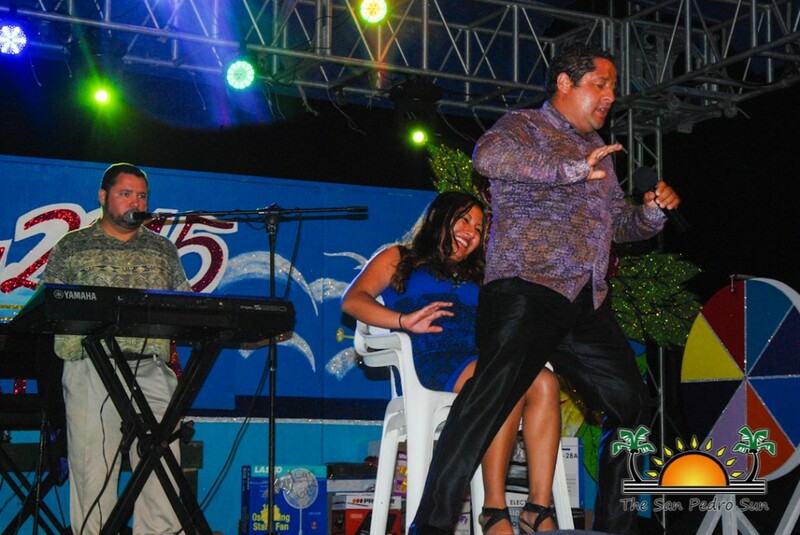 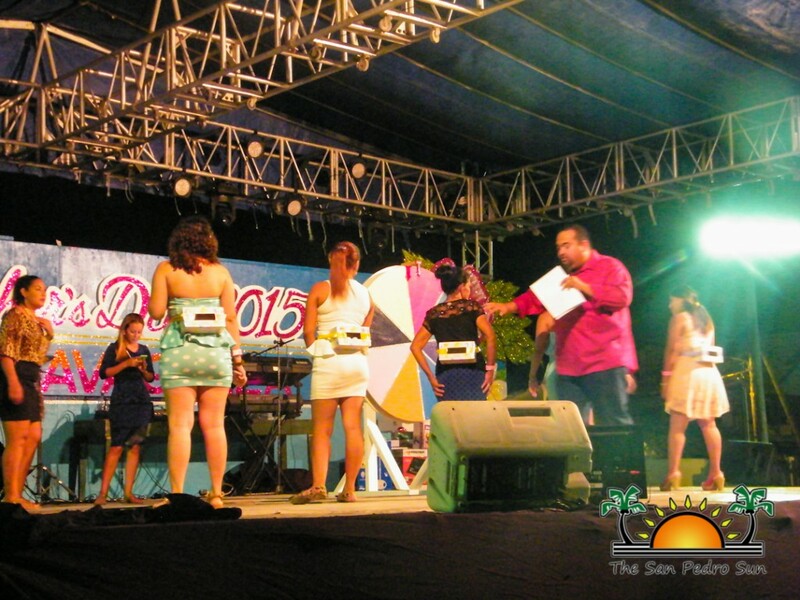 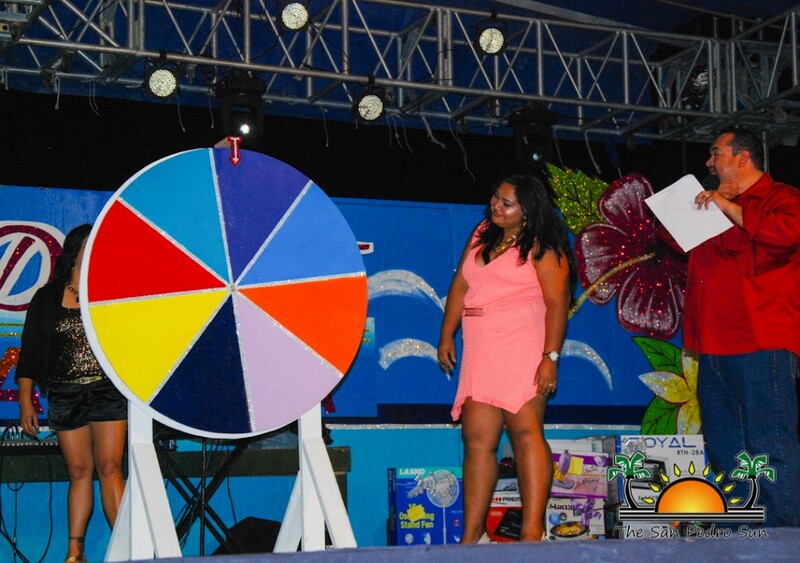 What a wonderful evening of fun for the island’s mommies indeed! 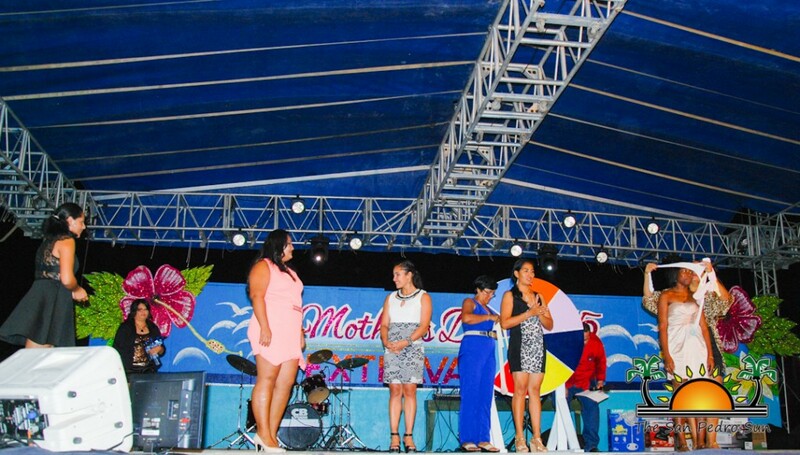 Adding to the excitement was the announcement of the Mother of the Year. 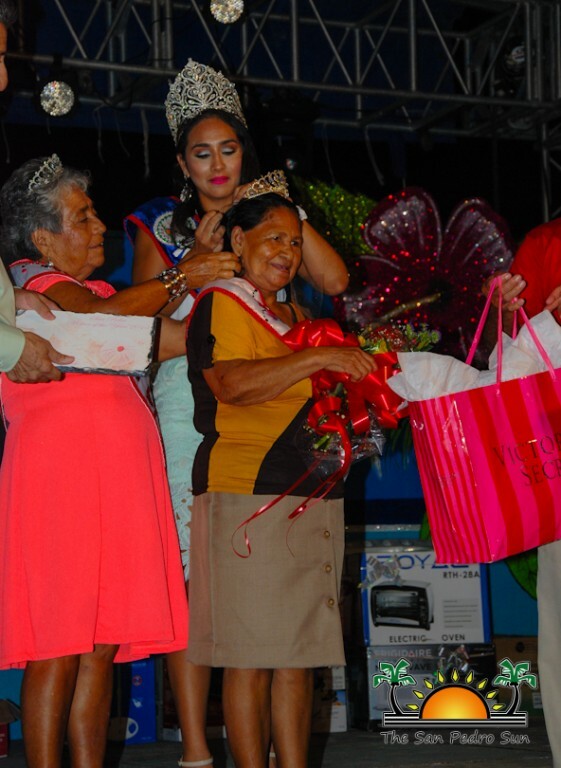 Annually, the names of mothers 65 years and older are taken down, then one name is drawn to announce the winner of the title of “Mother of the Year”. 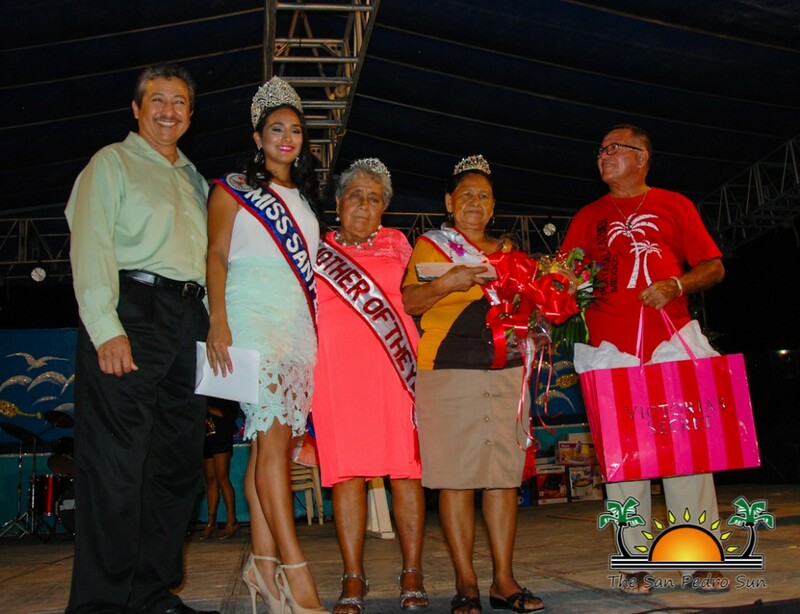 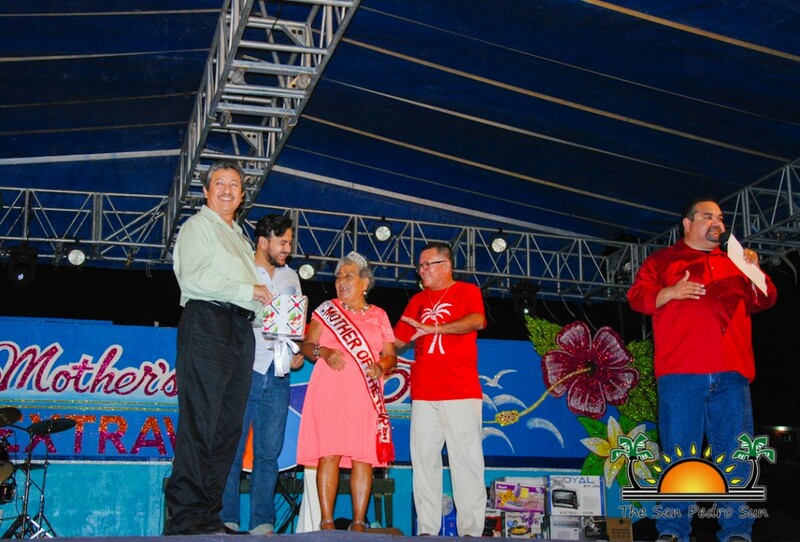 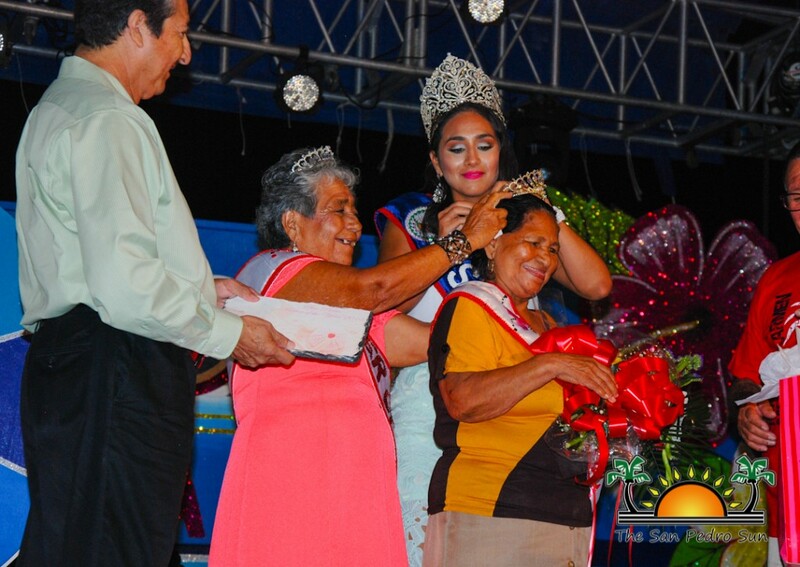 This year, Mrs. Graciela Vasquez of the DFC area took home the title, along with several well-deserved prizes and cash. 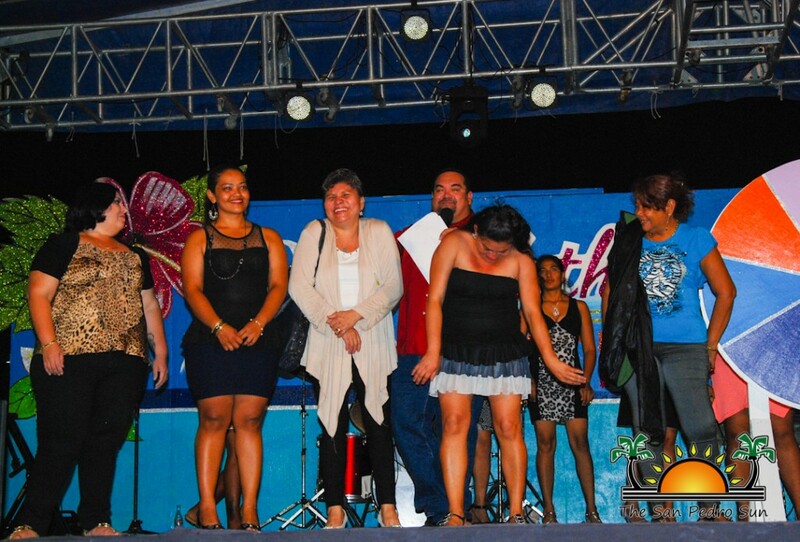 She was crowned and sashed by the outgoing Mother of the Year Mrs. Idolina Vasquez. 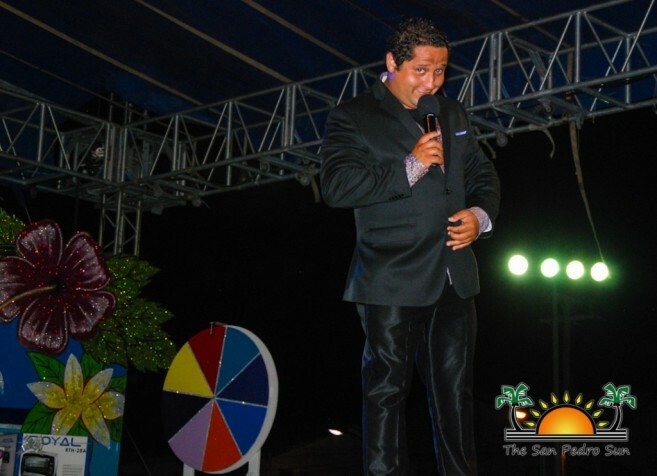 With the formalities and games accomplished, it was time for the long-awaited performance of the night: Comedian Hector Herrera Jr. 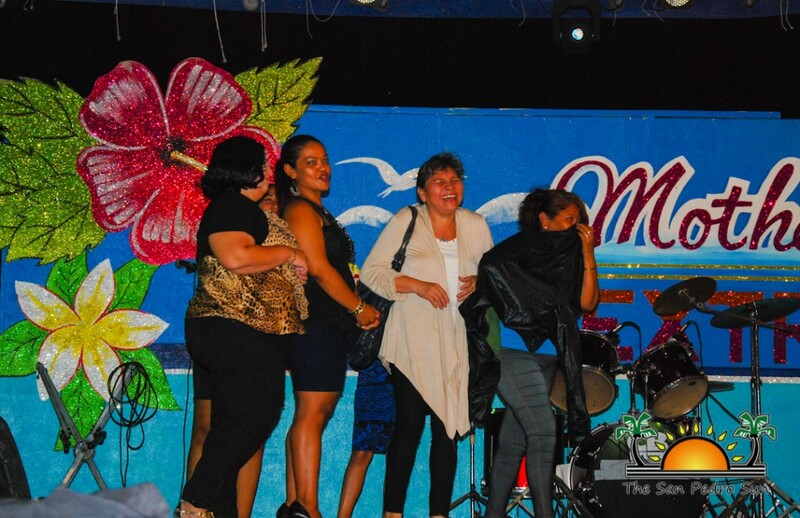 Hilarious, cheeky, and quite interactive, Herrera had the mothers laughing for hours! 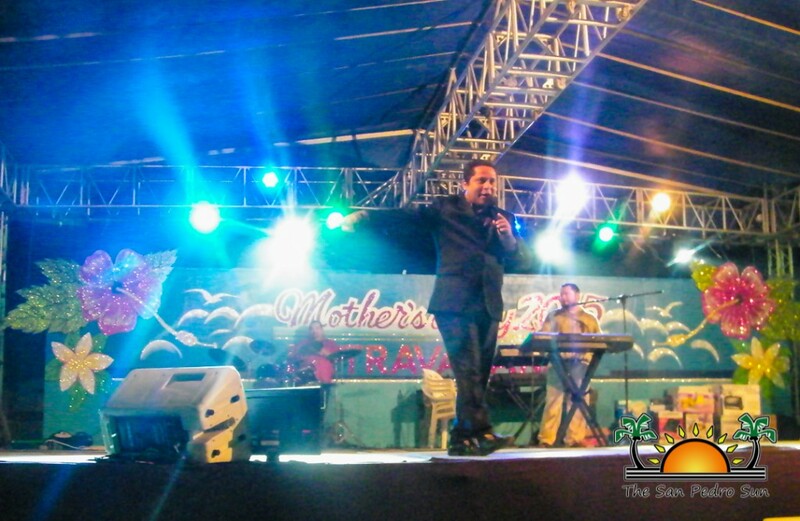 His performance was peppered with outrageous jokes and even song interpretations, and at one point, he brought a few mothers onstage as part of his act. 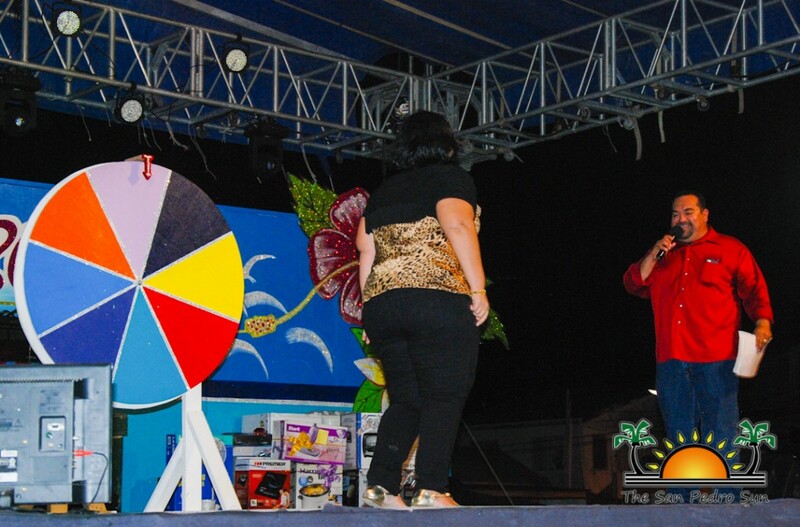 He certainly won over the ladies that night! 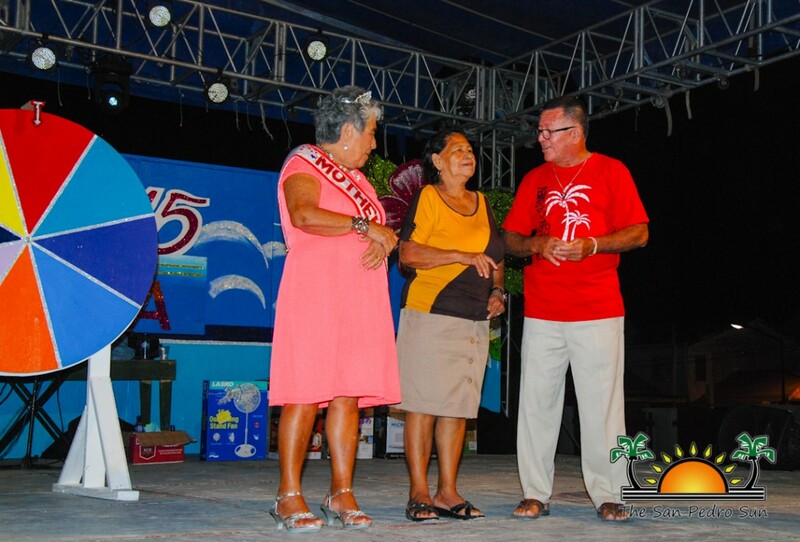 Long live our island mothers, and kudos to the volunteers and council for putting on a most excellent show for the ladies!